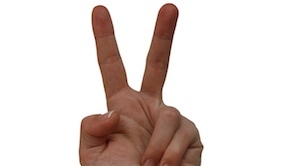 I’m a software industry veteran who has been leading teams and projects since 1992. I have expertise in agile development practices, software development at startups, mobile development, product management, and domain expertise in treasury risk management systems and enterprise content management. Consistent record of building and leading teams that deliver quality products. I have developed large scale applications in C/C++, Objective-C, C#, and Java. Expertise in mobile, rich internet applications, and software toolkits. Developing mobile solutions for over a decade starting with Windows and Java based PDAs, and I have been developing for iOS since 2008. Led software development for Astrogamma, acquired by Inventure. Built front-office FX Options trading software that held > 80% market share globally. Chief Software Architect at Droplets. Created the Droplets Platform, a system for delivering rich internet applications. The resulting IP and software is currently licensed by some of the largest Internet companies. VP of Product Strategy at Atalasoft, acquired by Kofax. Played a major role in all aspects of the business, with a focus on product development. Hello! 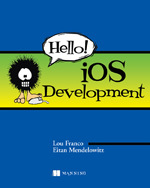 iOS Development is a book I co-wrote about iOS Development that was just launched by Manning. This book is meant for beginner programmers and explains OO development, MVC, Objective-C and takes readers through the construction of three iPhone apps covering the Interface Builder and simple controls, animation, CoreData, tables, gestures, images, the camera, maps, and accessing the internet (including Social Media integration). As part of my role at Atalasoft, I needed to know and engage the developer market. To do so, I have been active on StackOverflow, particularly in iOS and Objective-C. Here is a picture of my careers.stackoverflow.com profile (paid access) that shows I am in the top 10% for those technologies. I have also earned the iOS and Objective-C badges that get awarded for having a lot of high-quality answers. Here’s a list of my answers related to iOS development (246 results). I am the lead inventor on 3 issued patents related to Internet applications and a contributing inventor on a patent related to spreadsheets.